Located in the posh Dubai Emirate Region, Metropolitan Hotel Dubai is a luxurious hotel enjoying a central location and offering immaculate accommodation with a promise of warm hospitality to its guests. Right on the busy Sheikh Zayed Road, this iconic hotel enjoys proximity to all business hotspots such as World Trade Centre, Jebel Ali Free Trade Zone, the Media and Internet Cities. With a free shuttle to the Dubai metro, the rest of the city is within easy reach. 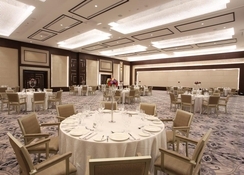 Home to restaurants and bars renowned in Dubai for their mouth-watering cuisine, opulent air-conditioned rooms with beautiful garden and sea views and furnished with all modern amenities, this luxury hotels beckons guests to rest and recharge comfortably during their Dubai city-break, whether for business or pleasure. 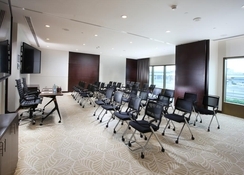 Metropolitan Hotel Dubai is just 2.6km from the pretty Jumeirah Beach, whereas the tallest building Burj Khalifa is 10km. Right on the busy Sheikh Zayed Road, this iconic hotel enjoys proximity to business and trade hubs like World Trade Centre, Jebel Ali Free Trade Zone, the Media and Internet Cities. With free shuttle buses from the metro station, the property is well-connected to rest of Dubai. Guests seeking solitude among nature will find it in the well-maintained Safa Park and the golden beaches facing the Arabian Gulf, all a short hop away. The Dubai International Airport is just 20km from the hotel; a short drive of 30 minutes. Metropolitan Hotel Dubai has spacious guestrooms furnished with modern décor and amenities to enable a comfortable stay for guests. The rooms come in categories like Premium, Premium Plus, Family, Junior Suite, Premium and Ambassador suites. The individually controlled air-conditioned rooms have twin or king size beds, 42” flat screen TV, fully stocked minibar, telephone, tea/coffee makers, en-suite bathroom with shower, bathrobes and slipper. 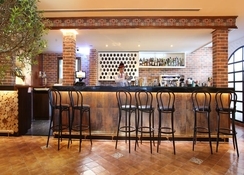 Certain rooms may have a seating area and balcony for guests to relax. 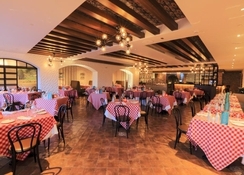 There are a clutch of restaurants and bars that are the talk of the town for their amazing ambience and delicious cuisines from far and beyond. While Do Colene is an Italian restaurant remarkable for its plush décor and authentic cuisine made from the freshest ingredients, The Red Lion is an English Pub with rich polished-wood furniture, beer kegs and high bar stools, Al Safa is an all-day dining restaurant with international and regional cuisine, and Al Shefa a pretty café. Tropicana is a lovely lounge by the pool that serves up light bites and drinks. 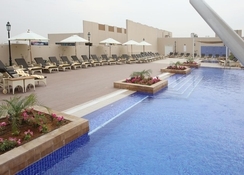 The Metropolitan Hotel Dubai features many avenues for guests to relax and recharge during their Dubai City Break. 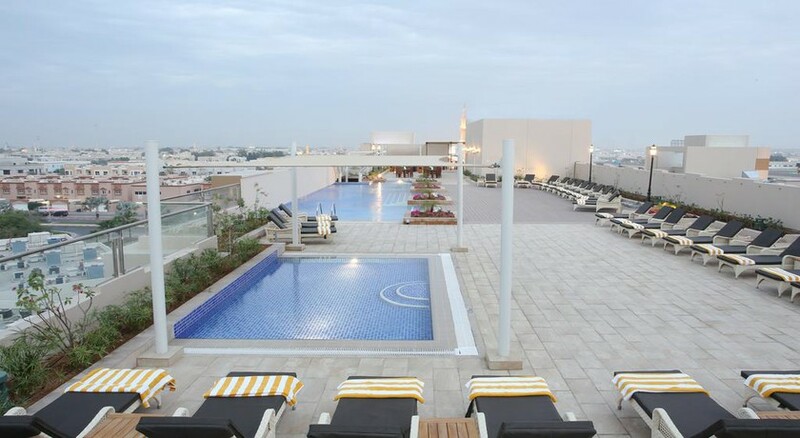 Enjoy the glistening rays at the stunning rooftop pool offering magnificent views of the city and the Gulf. The guests are offered complimentary pool and beach access at sister property, The Habtoor Grand Resort. There’s a spa offering rejuvenating massages and therapies and sauna and a hot tub to detoxify your skin. Work out to get in shape at the hotel’s newly refurbished gym equipped with Cardio and weight training. 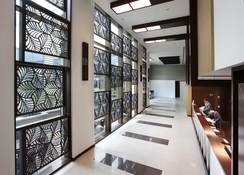 Next to the hotel is a Metroplex 8-screen cinema and Food Court offering a wide array of cuisines. The neighboured is dotted with malls, boutique shops and restaurants including the famous Mall of the Emirates.